Images of America: Wickenburg draws upon the superb archives of the Desert Caballeros Western Museum to tell the history of the Town of Wickenburg from the Pioneers to the Snowbirds. 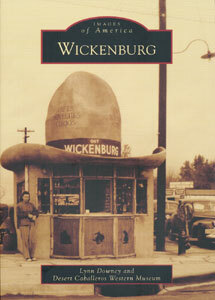 Only a handful of books deal with the history of Wickenburg at the level and scope that this books does. 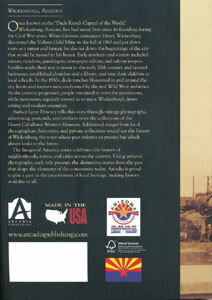 It is sure to become a collectible item for locals and Western enthusiasts alike.